Darkness has crept into the evenings and the mornings are slow to rouse. Leaves are turning from green to yellow, their grip loosening from the branches. Shops are dressed with cobwebs and pumpkins, faces hidden behind scary masks. The countdown to Halloween has begun and children are consumed with what their costume will be this year. A witch or a zombie, a cat or a dragon? Adults, on the other hand, are dreaming of a last escape before the run up to Christmas. Oh yes, it’s on its way. 70 sleeps until the man himself squeezes down our chimneys and gorges himself on our pies. When I was six, our family and another rented a run-down castle on the west coast of Ireland. From the moment we walked in we knew we weren’t alone. My brothers discovered a dungeon and insisted on lowering myself and my sister down as we were the only ones who could fit through the narrow hole. Bones crunched beneath our feet and the unbearable cold seeped into my skin. We screamed until they hoisted us back up. Eight children slept in sleeping bags all in a row, while our parents sought refuge in the bottles of wine. I swore I saw a man walk through the living-room, as I sat drawing by the window. He was not a man of this world. I’m not quite sure I’d return to this old castle, but if you’re the type of person who is not petrified by things that go bump in the night, then why not escape to a spooky castle this weekend? 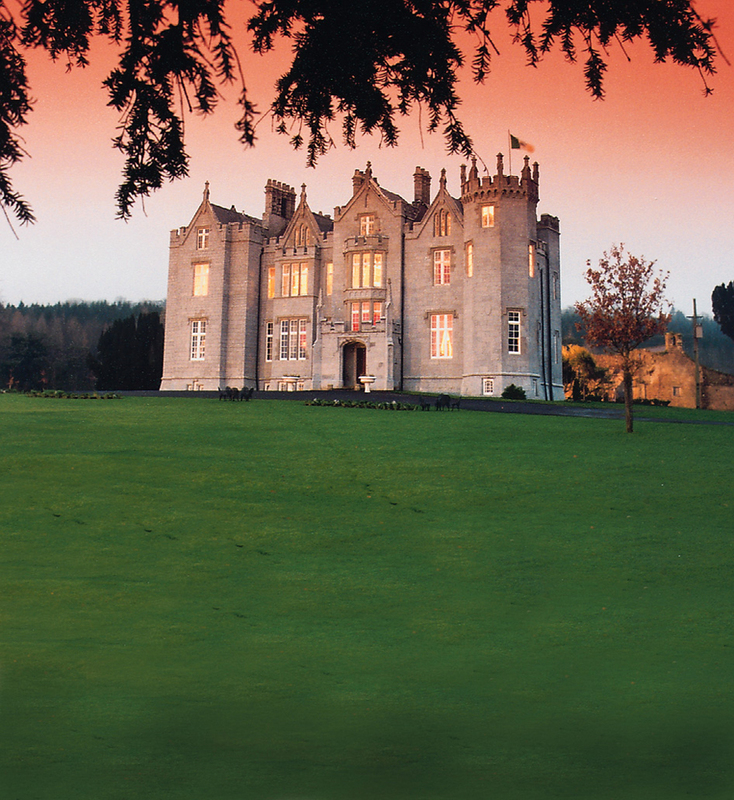 Kinnitty Castle is haunted by a relatively newly discovered spirit – a monk called Hugh. It is said that the spirit communicates directly with one of the staff members – Margaret McCann, saying she reminds him of someone called Mary Kelleher. His purpose is said to ensure the monks who once inhabited the castle were not forgotten. The castle is so scary it appeared on TV3’s Most Haunted series! Although, don’t go expecting to meet the ghost…his appearances do seem limited! You don’t get more haunted than here. Built in 1625, the castle was originally built as a garrison. After 50 years the family moved in and it has been in the family ever since. This has made it easy to trace and record the ghosts that swish through the castle, day and night. There is not just one ghost, but many spirits seem to inhabit Huntington. At night, the sounds of the soldiers boots pounding on the slabs can be heard, along with the sounds of chatter. Along the corridors, the spirit of Barbara St. Ledger and her maid patrol at night, the swishing of their dresses dragging along the ground and their footsteps echo in the night. Be prepared for a haunted experience in a rather beautiful castle. Unfortunately, you can’t stay over at Leap Castle, but they do tours of the 13th century castle, said to be Ireland’s most haunted castle. The castle’s history is filled with violence and death, with many people being murdered in the castle itself over the centuries. Rumour has it that the spirits of these unfortunate souls never left the castle and have roamed it for years. In the early 1900’s the then owner dabbled in the black arts and is said to have evoked an Elemental spirit, a primitive ghost that attaches itself to a particular place. Such a ghost can be dangerous and violent. There are written recordings of encounters with the spirit. 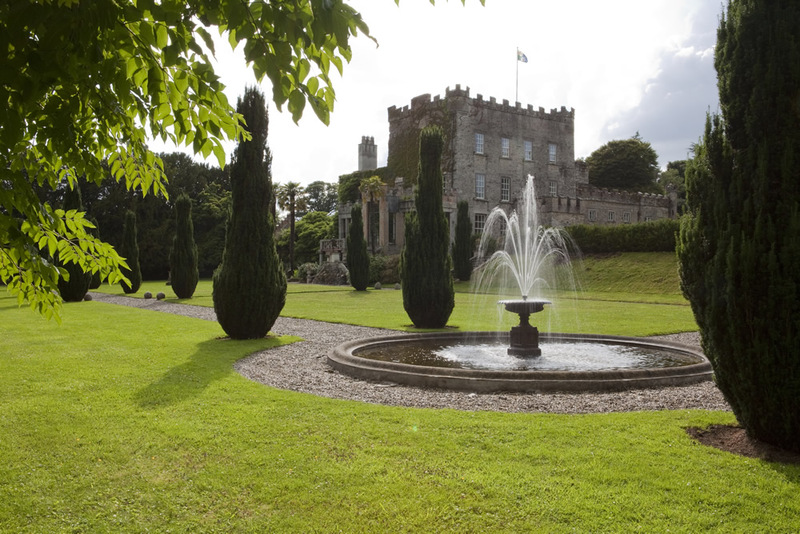 The castle was burnt down in the 1920’s and now, rebuilt and owned by Sean Ryan, people can visit the castle for a guided tour to hear all about the ghouls and ghosts past. Sean says they have encountered many spirits in the castle, but all friendly and simply the spirits letting their presence be known. 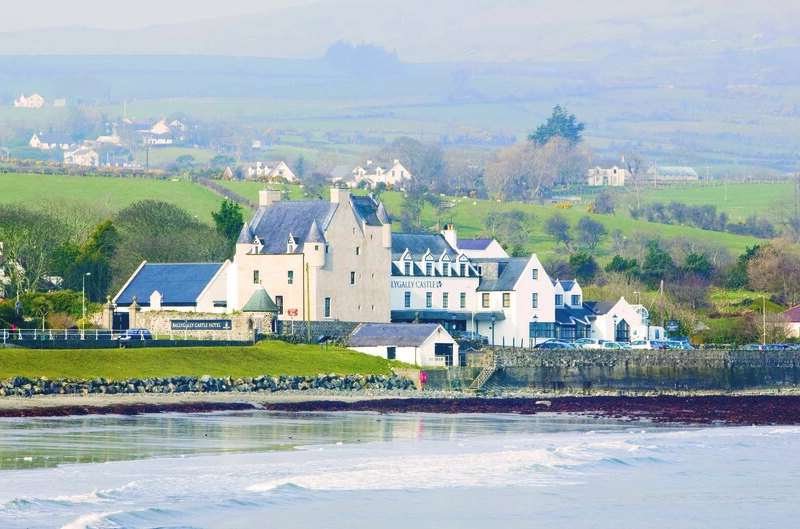 Built in the 17th Century by Lord James Shaw and his wife Isabella, Ballygally castle overlooks the Bay of Ballygally. Said to have at least three ghosts, the most talked about one is thought to be that of Isabella Shaw. James Shaw wanted an heir and as soon as the child was born he had Isabella locked away in the castle’s turret. She fell to her death having tried to escape through the small window, although some believe James pushed her to her death. Guests have reported unexplained sounds and experiences in their rooms, especially the rooms in the oldest part of the castle. The castle is closed for refurbishments at the moment however, will reopen in March having undergone a complete rufurb.